Conova Review 2019: Is Conova a Good Hosting? Conova is an Austria-based hosting provider for enterprises. With five ISO certified data centers, this is a premium brand, for a premium price tag. Conova was founded in 2001, as the combination of two companiesף Salzburg-online and Tech-Consult. With close to 2ת000 customers, it’s an Austrian company focusing on enterprise-level hosting packages. You can view either a German or English version of the website. Conova owns and operates five data centers across Austria, which include more than 10,000 servers and 2,000 square meters. The centers are carbon neutral as well, if you’re interested in green credentials. As well as being ISO certified, you should expect 99.9% uptime, unless you’ve agreed on a separate SLA with Conova. The solutions offered vary greatly from managed email packages to managed VM servers, dedicated servers, and cloud hosting. 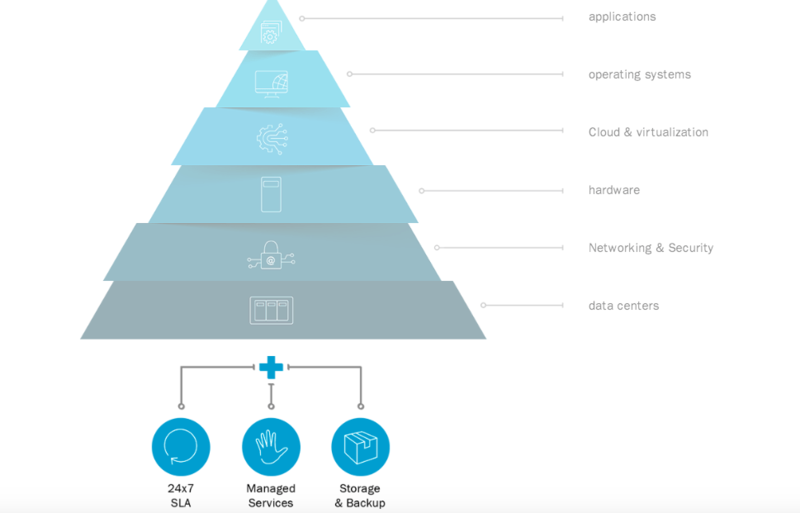 The TopCloud plans are easy to scale, with flexible resources, and a disaster recovery environment. The dedicated server plans are excellent for websites which have high-performance requirements. 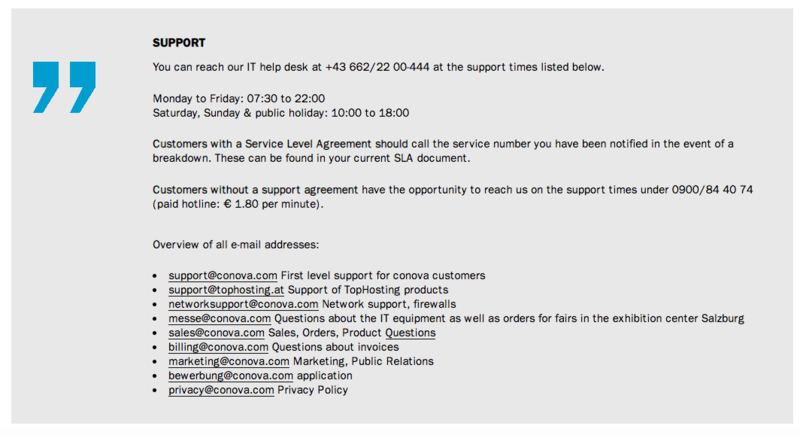 You can also outsource (for a fee) the day-to-day maintenance of your server to Conova, who is on hand 24/7 to provide support and assistance. If privacy is important to you, you can be assured that Austria has strict privacy laws and any data housed in Austrian data centers will too. While the plans are excellent for enterprises, it’s overkill for most small to medium-sized businesses, and not at all beginner-friendly. You can’t view the prices online, nor can you pay or create an account online. It’s a little outdated; there are many companies nowadays that allow you to quickly and easily get set up online. Nevertheless, these are premium plans, so although you can’t view the prices online, you should expect to pay top dollar for the plans. Customer service is available from Monday to Friday from 7:30 a.m. to 10:00 p.m. and from 10:00 a.m. to 6:00 p.m. on weekends and holidays. You can contact the team by phone or email, as well as TeamViewer for remote support. Be sure to consider that unless you have a support agreement, you will be charged a high per minute fee to call the support number. I did send the team a message via the online contact form at around 3:00 p.m. on a weekday. Despite waiting a couple of business days for a reply, none came. Conova claims to have real-time monitoring of 33,000 values at any one time, as well as having responded to more than 7,000 customer service requests. This is a premium brand for enterprise customers who are prepared to pay a premium – beginners need not apply! Wondering how Conova stacks up against other Web Hosting companies? Enter any other Web Hosting company and we will give you a side-by-side comparison.